When our friends Ann and Julie invited us up to their Rochester, NY home for a long weekend, we knew it was going to be a fun food weekend. We all like to eat, we all like to have fun, and we all like to have fun while we eat. Perfect friends! Ann prepared Thanksgiving Dinner for us all Friday night! Turkey and all the trimmings! It was tres fabu! 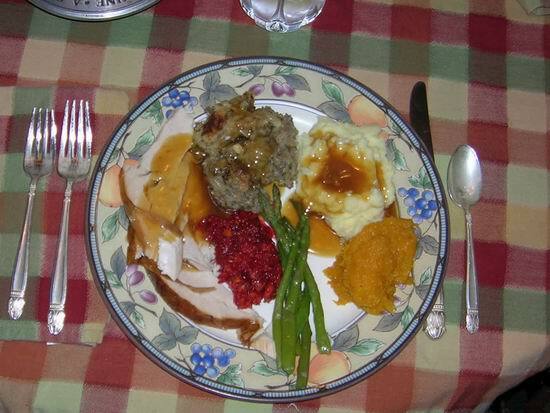 Naturally, I had to be a proper guest and eat everything on my plate – and refill it several times, too. I mean, it is the polite thing to do, right?!? Mom would have been proud of me. Turkey and stuffing, mashed potatoes, baked squash, asparagus, cranberry relish… I think there should be a rule that we have to have Thanksgiving dinner at least every three months. It’s a reasonable rule and one I would gladly follow – especially if they were all this good! We rolled back into the living room, and soon it was time for dessert. Fresh apple pie, or homemade pumpkin pie with whipped cream?!? I couldn’t very well choose one over the other, could I?!? Of course not! I had both. They were delicious! We laughed and joked until the wee hours, and then crawled off to bed. 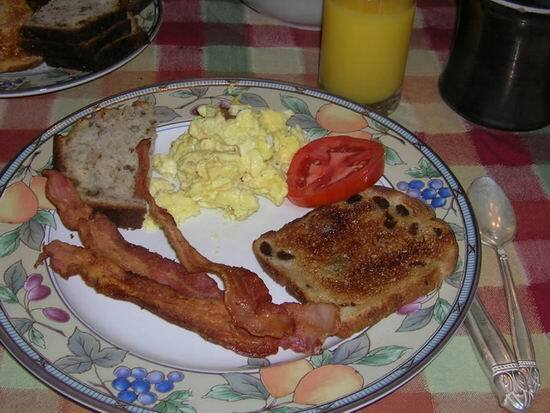 Saturday morning dawned and so did breakfast. 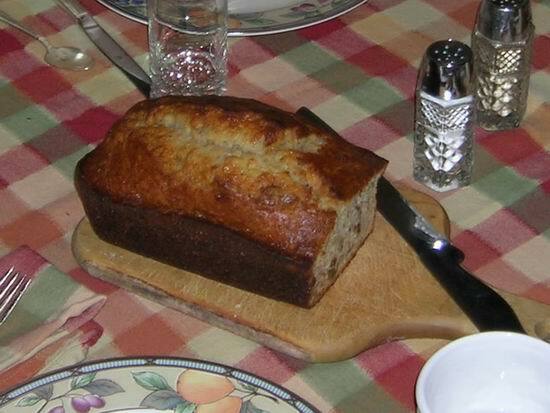 Fresh-baked banana bread on the table, along with bacon, eggs, two types of delicious toast, fresh-from-the-garden tomatoes, orange juice, and piping hot coffee. I was beginning to get used to this! Barely able to move, we headed out to the car for Julie’s Famous Tour of Rochester. Driving up and down streets, marveling at the homes – and prices – and generally having a great time. I hadn’t been to Rochester since about 1984 when I was living in Buffalo after opening the Hyatt Regency there. A lot had changed! Naturally, we had to stop for lunch! 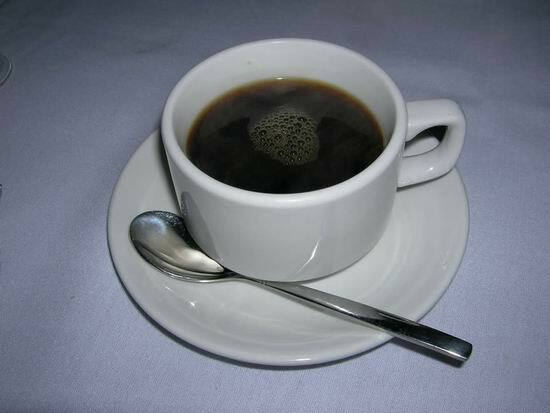 Funny, but while I remember that I enjoyed it thoroughly, I can’t recall exactly what it was I had! I was having much too much fun with fabulous company! We returned home to rest and relax for a bit, because we had reservations for dinner at Wegmans. It seems that the Wegmans Mother Ship in Rochester has a restaurant attached. A little place called “Tastings.” What a surprise! What a delight! They have a prix fixe 5 course dinner we just had to have! Five courses, with a choice of two items for each one. Naturally, we all had to get different things so we could share. We tried everything on the menu! 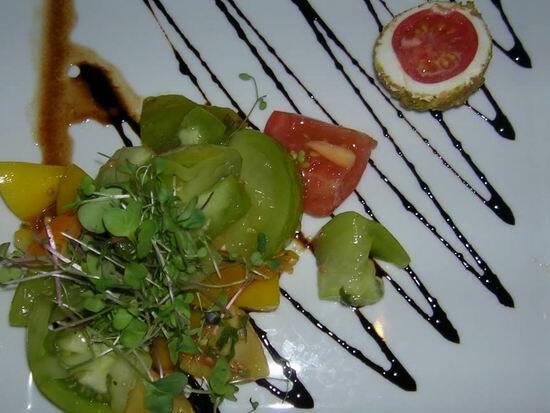 I started off with heirloom tomatoes, micro greens, and cherry tomatoes rolled in goat cheese and pecans. Oh. My. Gawd. A simple balsamic dressing topped it off. The presentations were unbelievable. Fun Food, indeed! 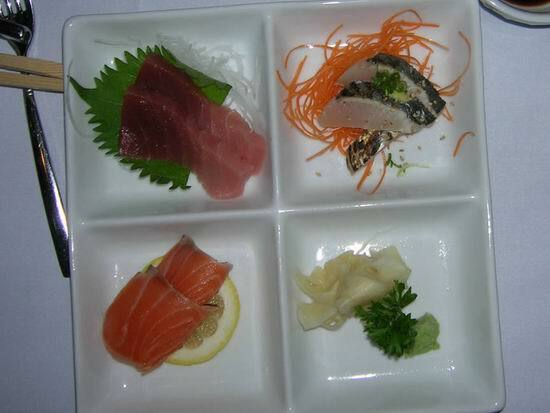 Next was the fish course. 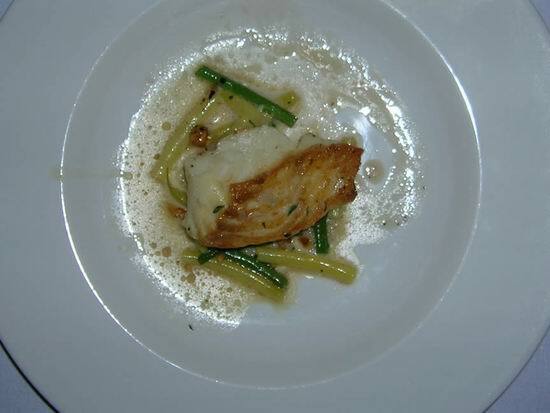 I opted for a fresh Boston Cod on a bed of green and yellow beans. 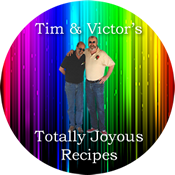 Victor had the Shrimp with a Sweet and Sour Slaw with hints of coconut. Both were knock-outs! 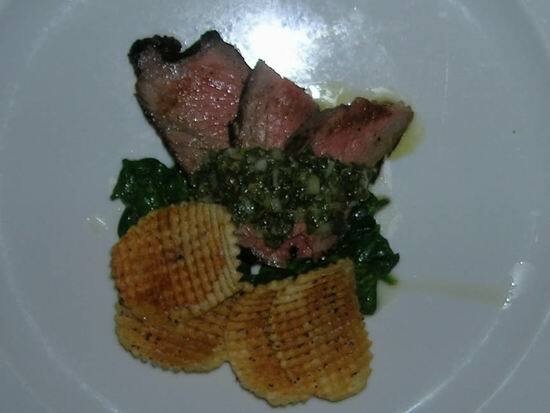 Julie opted for the Beef with spinach and waffled potatoes, while the rest of us went for the duck breast with purees of carrot and squash. 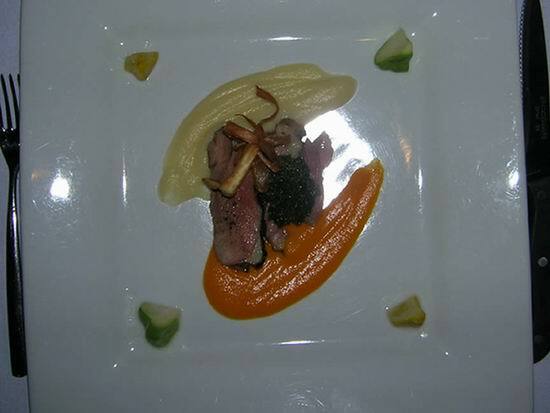 Perfectly cooked, medium rare duck breast topped with fried orange rind. To die for! 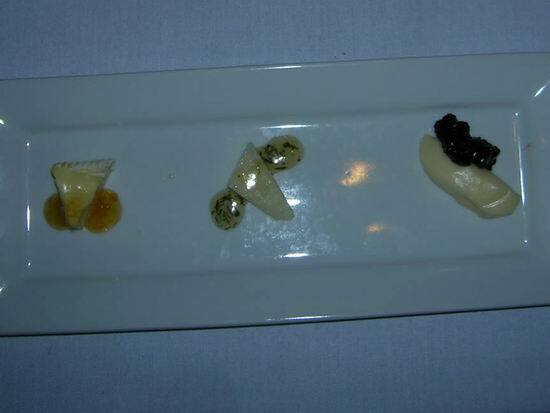 Next came a Trio of Cheeses… Each was paired with its own sauce. I’ll be damned if I can remember their names, but boy were they good. Simple, yet elegant. Perfect combinations. Perfectly complimentary. Dessert arrived. A Valrhona Chocolate Gateau with Rum Raisin Ice Cream. I was in heaven. 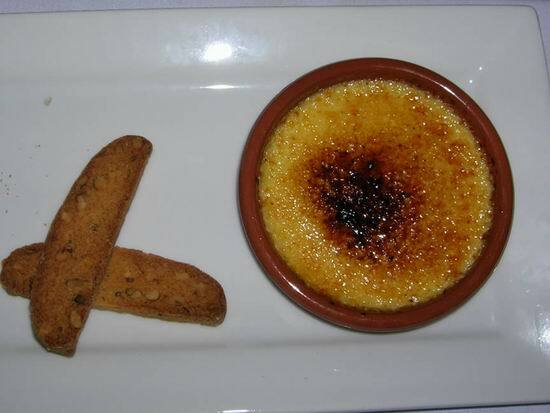 Ann chose the Creme Brulee with Biscotti. 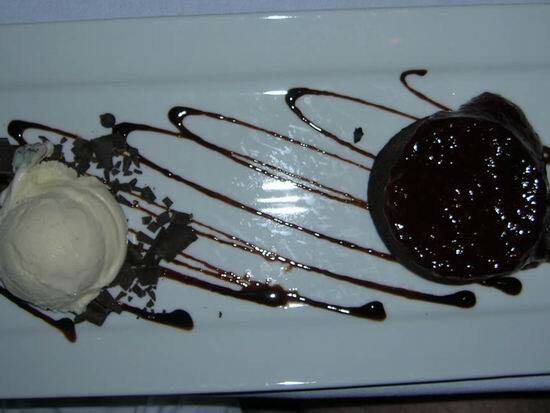 Creme Brulee is good and all, but… Chocolate was needed after this meal. Yep. Heaven. After dinner, we strolled through the Wegmans Mother Ship. Big doesn’t begin to describe it. We perused the aisles looking at the Waterford crystal and Italian platters and bowls. I had to keep reminding myself we were in a grocery store! I saw about a dozen things I loved. As we don’t have room for the bowls and platters we currently own, I resisted buying more. It wasn’t easy. The following afternoon we headed home, laden with Turkey sandwiches with dressing and cranberry sauce Ann packed up for us. We pulled into a rest stop and devoured half of them. 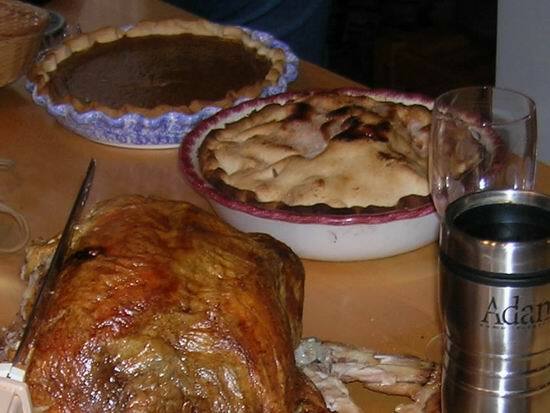 A few hours later, we were home – with the rest of the turkey sandwiches for dinner. Did I mention what a wonderful time we had?! ?